We are manufacturing custom metal shopfitting equipment from cabinets, racks, hangers to displays for high-end retail and fashion stores. Our wide range of metal craftsmanship expertise include stainless steel, brass, aluminum and steel with many kinds of surface finishes such as polishing, brushing, aging, anodizing and powder coating. 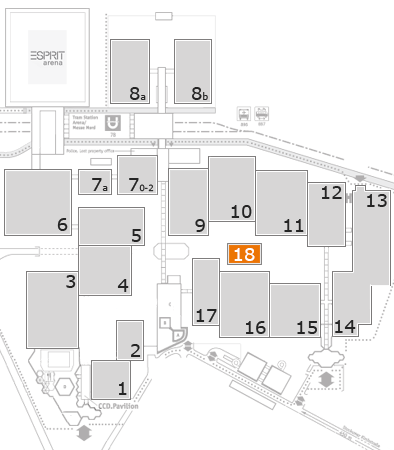 Stand 18 A 15 - We will be waiting for meeting you! "Your Solution Partner in Metal Fabrication"
Our stand is 18 A 15. Please stop by to see custom metal shopfitting masterpieces. We are excited to seeing you. Asel Metal company has been specialized in metal products of shopfitting industry. Metal products range from stainless steel (polished, brushed and scotched surcface technology), high quality brass (polished, scotched and aged surface technology), all kinds of steel products (powder coating, all aluminum products brushed, anodized and powder coating), all copper products (polished or matte).